Synvisc (hylan G-F 20) is an elastic, viscous, high molecular weight fluid which contains hylan A fluid, hylan B gel, and salt water. Hylan A and hylan B are derived from hyaluronan (also called sodium hyaluronate) which is made from chicken combs. Hyaluronan is also a natural substance found in the body, specifically, in large amounts in the joints. The body's natural hyaluronan acts as a lubricant and shock absorber which is necessary for normal joint function. Synvisc is one of the hyaluronates that is used in a treatment known as viscosupplementation. The treatment is sometimes referred to as joint fluid therapy, hyaluronan injections, or hyaluronate injections. Synvisc injections are approved for the treatment of pain in patients with osteoarthritis of the knee who have failed to respond to more conservative therapy, such as non-narcotic analgesics or non-drug treatment options. In osteoarthritis, there may be insufficient amounts of hyaluronan or the quality of hyaluronan may be diminished. The use of Synvisc for other joints is being investigated, but it is not yet approved. Synvisc is injected, using a syringe containing 2 ml, directly into the knee joint to restore the cushioning and lubricating properties of normal joint fluid. There is another Synvisc product, known as Synvisc-One, that is administered as a single (one-time) intra-articular injection (6 ml). Viscosupplementation has been studied for osteoarthritis treatment since the 1970s. Synvisc was FDA approved on 08/08/97. Synvisc injections are typically given as a series of 3 injections, once a week, one full week apart. Synvisc-One was developed as a one-time injection, as an alternative to the series of three with Synvisc. To get the best results, osteoarthritic synovial fluid is typically removed from the knee before the first injection. Synvisc is considered a treatment or therapy, not a drug. The most common side effects associated with Synvisc injections include pain in the injected knee, swelling in the injected knee, and joint effusion. Other potential adverse events that may occur with intra-articular injections include arthralgia (pain in a joint), joint stiffness, joint effusion, joint swelling, joint warmth, pain at the injection site, arthritis, arthropathy, and gait abnormality. Post-marketing surveillance of the 3-injection regimen of Synvisc revealed other rare systemic effects including rash, hives, fever, nausea, headache, dizziness, chills, muscle cramps, malaise, respiratory issues, peripheral edema, and rarely, thrombocytopenia (low platelets). Synvisc should not be injected into patients with known hypersensitivity to hyaluronan products. Also, Synvisc should not be injected into knees with joint infection, skin diseases or infections, or infection in the area that surrounds the injection site. Synvisc should only be used as an intra-articular injection (within the joint). If it is injected outside the joint in the synovial tissue or joint capsule, local or systemic adverse events can occur. Intravascular injection of Synvisc (into a blood vessel) can cause systemic adverse events and should be avoided. After a Synvisc injection, it is recommended that patients should avoid strenuous activities or prolonged weight-bearing activities for 48 hours. Discuss specific recommendations pertaining to your individual case with your doctor. The safety and effectiveness of Synvisc in pregnant women or women who are nursing has not been established. If you have allergies to feathers, eggs, poultry, or other products from birds, notify your doctor. Synvisc is comparable in effectiveness to intra-articular corticosteroid injections which have a quicker onset but shorter duration of action than Synvisc. Repeated injections of Synvisc is considered safer than corticosteroids in patients with comorbidities which may make corticosteroids contraindicated. Also, it should be noted that NSAID use may decrease in some patients following Synvisc injections. Patient Information Synvisc, Sanofi US. Patient Information Synvisc-One. Sanofi US. Magliore A. et al. Hylan G-F 20: Review of its Safety and Efficacy in the Management of Joint Pain in Osteoarthritis. Clinical Medical Insights: Arthritis Musculoskeletal Disorders. 2010; 3: 55–68. 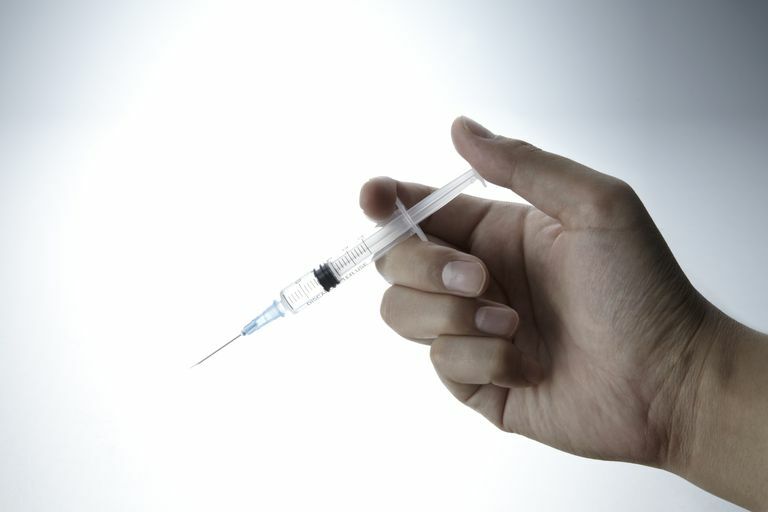 How Effective Are Synvisc Injections in Delaying Knee Surgery? Are Joint Lubricant Injections Effective Treatments for Arthritis?